The Vail Valley is obviously known for being one of the most incredible ski resort destinations in the World, but summer is quickly becoming just as popular. With activities such as hiking, whitewater rafting, rock climbing, mountain biking, fishing and golf, the recreation is truly endless. Speaking of golf, did you know that there are 17 championship golf courses within a 38-mile radius, and half of them are open to the public! One thing I love about our courses is they are all so unique and offer their own beauty and challenges, keeping you on your toes. The region's golf courses were designed by some of the game's biggest names, like Pete Dye, Arnold Palmer, Greg Norman, and Tom Fazio. If you are just dipping your toe in the proverbial golf pool there are tons of more casual/social events to break in to the golf scene like Buckets and Brews. 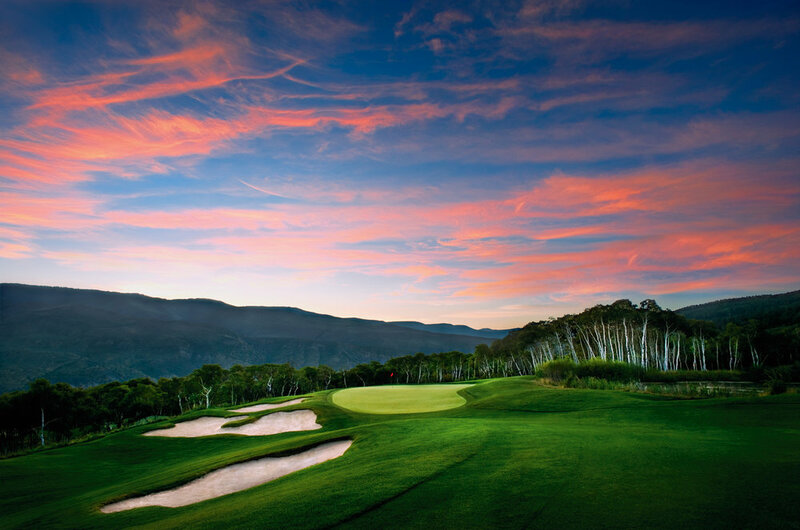 Every Thursday night from 5-7PM at the EagleVail Golf Club you can pay $10 for a bucket of balls and 2 draft beers! Plus there are weekly beer and prize sponsors to keep it exciting. CLICK HERE for more details. I had the pleasure of playing at Frost Creek yesterday and it was honestly one of the most picturesque rounds I have ever played. The mountains and valleys are breathtaking - it looks like Jurassic Park out there! To learn more about all of the courses in the Vail Valley click here.